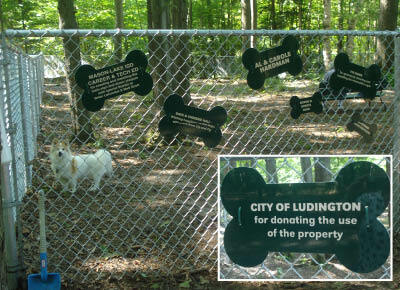 Central Bark, Ludington's very own dog park, is set on a one-acre piece of land in the northeast corner of Cartier Park off Slagle Road. Your pooch will find a fenced-in area, signs, separate runs for small and large dogs, a bag and trash receptacle, benches, and in the future, agility obstacles. This is a great place for dogs of all sizes to exercise and burn off energy in a clean, safe environment without endangering people or wildlife. Its beautiful setting in the woods offers shade, and across the parking lot is Lincoln Lake. Girl Scout Troop 10138 designed, built and installed a refuse and bag storage container inside the pet unleash area. They also installed a covered information board at the entrance where the community can leave messages regarding their pets and read about pet services available. This project is being entirely funded by community and visitor donations. To date, they've met their goal of $25,000, but money is still needed for maintenance of the park. Checks may be sent to P.O. 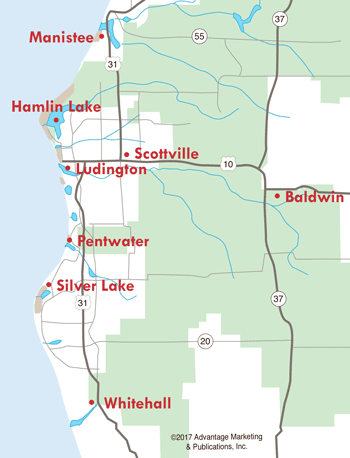 Box 201, Ludington, MI 49431. 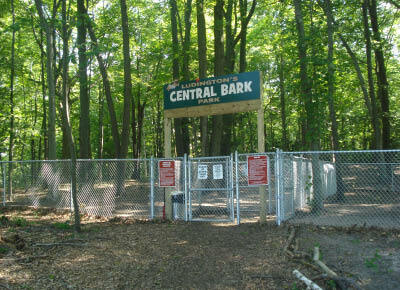 Central Bark is accessible by taking Rath Avenue north until it ends at Lincoln Lake, then turning left. The dog park is to your left, with the lake to your right.